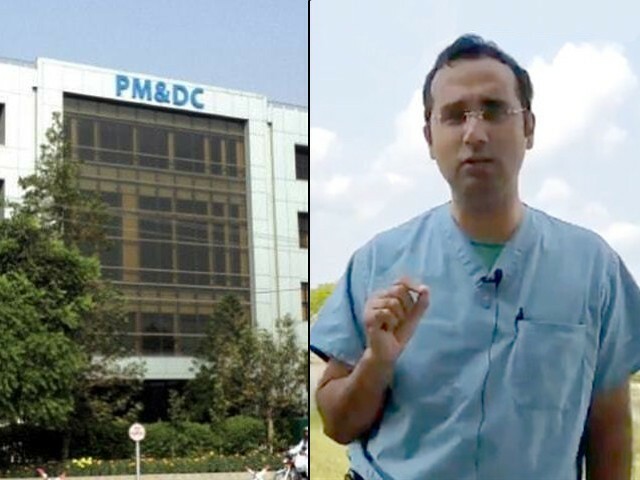 For a lot of overseas Pakistani physicians, the PMDC is often the face of the government of Pakistan. Every year, between 1,000 and 1,500 Pakistani physicians leave the country to pursue their advanced medical training. As a result, there are currently thousands of Pakistani physicians working in the US, UK, Australia and the Middle East. According to the 2016 Federation of State Medical Boards (FSMB) census, there are more than 12,000 active-licensed Pakistani physicians working in the US alone, while similar estimates for the UK, ranging around 2,300. To continue their academic pursuits, these physicians are required to attain temporary, and eventually permanent, registration with the Pakistan Medical and Dental Council (PMDC). One would expect the process of obtaining this registration to be consistent, regularised and systematic, given the sheer number of Pakistanis who require it. However, in reality, it is inconsistent, unpredictable and obsolete. The core of the issue rests in the manner in which PMDC contacts the foreign teaching hospital pertaining to the candidate’s completion of internship, also known as a ‘house job’ in Pakistan. To begin with, it can take up to several weeks before a verification request is sent to the teaching hospital. At times, this verification is obtained via email and takes only a few days. At other times, however, a decision is made arbitrarily to obtain this verification by mailing the documents to the foreign teaching hospital via the Pakistani embassy in the respective country. This can take up to several months, and there have been numerous instances of documents being lost during transit. The several months that are spent obtaining this relatively straightforward verification equate to missed deadlines and lost opportunities for physicians working outside Pakistan. Currently, all teaching hospitals outside Pakistan have secure email systems that are used for official and confidential correspondence. Every training program also has a coordinator who can be emailed for direct verification of the candidate’s house job. Despite this ease, PMDC’s insistence to use snail mail to send documents to teaching hospitals abroad is reflective of the organisation’s complete refusal and total inability to adapt to modern times. 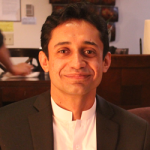 In fact, it is quite appalling that at a time when the entire process for obtaining the National Identity Card for Overseas Pakistanis (NICOP) from the National Database and Registration Authority (NADRA) is online – and can be completed in 10 business days – getting something as important as a PMDC registration capriciously requires the records to be physically posted to another country, derailing a doctor’s career by several months. In comparison to related processes and requirements in similar countries, obtaining a permanent PMDC registration is significantly more time-consuming, unreliable and inefficient. For physicians coming from India, Bangladesh and Egypt, whenever needed, such verifications are obtained through email and always within a matter of days. This not only minimises the waiting time for physicians, but also simplifies the process for training program coordinators who do not have to deal with paper records or the hassle of mailing them back to Pakistan, and can easily complete the process with a single email. While a complete overhaul of the organisation itself may require prohibitively large sums of money, improving only the registration and certification processes primarily requires leadership and initiative. This incredibly inefficient and anachronistic process can be significantly streamlined by implementing the following low cost changes. Firstly, a time limit should be set for the house job verification request to be sent to teaching hospitals abroad. Secondly, house job completion verification via email should be implemented across the board. And thirdly, online tracking of the registration process should be made available as well. Prime Minister Imran Khan has on numerous occasions advocated for the rights of overseas Pakistanis, and has gone to the extent of describing the Pakistani diaspora as a ‘great asset’ for the country. But for a lot of overseas Pakistani physicians, the PMDC is often the face of the government of Pakistan. Overseas Pakistanis are a most valuable asset for Pakistan as they have the brains, commitment & capital to help in country's development! At a time when the new government is promising improved governance and particularly aspires to facilitate overseas Pakistanis, it is extremely dispiriting to see that organisations such as the PMDC are thwarting these efforts through their sheer incompetence. Pakistani physicians training and working abroad not only contribute generously to the remittances that are vital to the country’s economy, but also serve as Pakistan’s ambassadors abroad. The least they can expect in return is to be treated with fairness, respect and professionalism. In that regard, the PMDC fails us completely. The author is a physician by training and writes about healthcare, politics and cricket. Can the PPP actually win the next general elections?